​Single class - however, classes are subdivided and the wording the list of goods to be included in the application must be in conformity with the local classification. Goods and services can be registered. The wording of the goods to be included in an application should be in conformity with the local classification, which is almost identical to the International Classification of Goods and Services for the Purposes of the Registration of Marks under the Nice Agreement. Further to the article posted on this website on 30 July 2007 regarding the apparent cancellation of the requirement for an Israeli Boycott Declaration in respect of trade mark and patent applications, we have now received advice that the Declaration is, in fact, still required by the Patent Office. The Declaration must therefore still be filed in respect of patent (but not trade mark) applications. 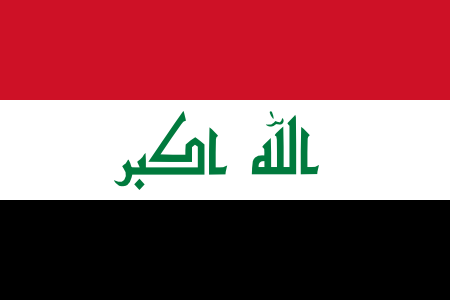 We are pleased to advise that the Iraqi authorities have cancelled the previous requirement that an Israeli Boycott Declaration should be submitted in respect of trade mark and patent applications. Whilst the Boycott Declaration was not required at the time of filing an application, the Registry was previously refusing to process applications until such a Declaration had been filed.It is hoped that the backlog of pending applications may now be progressed to publication.